I stumbled upon (literally not digitally) this piece of graffiti on Sunday afternoon when I was out for a walk with my sister in Prenzlauerberg. 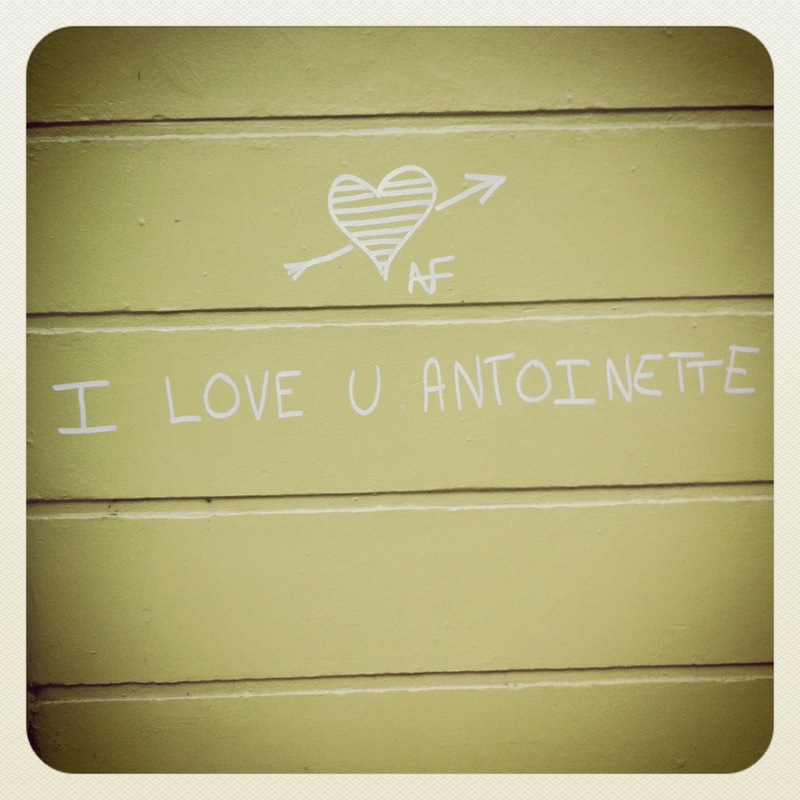 Antoinette is a beautiful name with a beautiful meaning: beyond praise or highly praise-worthy. The decision to document it was an impulsive response to the colour combination and romantic sentiment. It has, however, triggered a delightful train of thought on friendship and the truths that friends so artfully scribble and scratch onto our hearts and minds.